What Would Fundamentalist Christian Jesus Do? Apple Picking: Time-Honored Tradition or Migrant Worker Training Camp? Guess Who’s Coming to Mayor! My name is Keith Ecker. You may have heard me on the Feast of Fun podcast. I’ve done their Steamworks show twice! I also have done a lot of improv, sketch and stand-up comedy around Chicago. 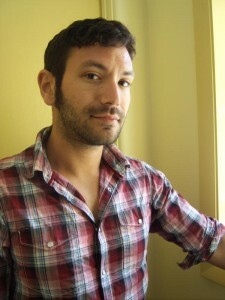 I currently am the co-producer and co-host of a reading series called Essay Fiesta (http://essayfiesta.com). I just started a new venture called Satire and the City. It’s part of the ChicagoNow network. Check it out!